A half-bottle of the world's greatest sweet/dessert wine. 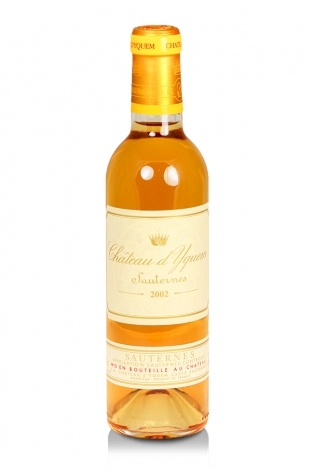 Château d'Yquem is unquestionably the most highly rated and sought after sweet/dessert wine in the world. It is the only Premier Cru Supérieur in Sauternes from the 1855 classification and is therefore literally in a class of its own. A mere 100,000 bottles are produced each vintage except in years that are deemed of insufficient quality when no d'Yquem is produced such is the devotion to excellence. If you are a wine drinker who seeks perfection in balance, length, complexity and sweetness then look no further. Served from an ex-chateau bottle. 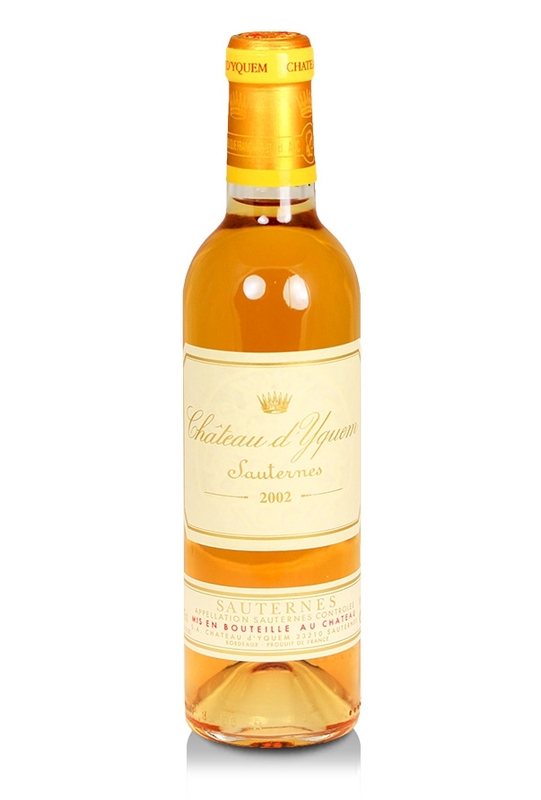 The 2002 Chateau d’Yquem has a delightful bouquet with scents of dried honey, marzipan and melted candle wax. It is not the most complex, but it has very good definition. The palate has a controlled, linear opening with fine acidity and a tightly wound spicy core. Tasters on Cellar Tracker found "honeysuckle and orange blossom" with others commenting on its "citrussy, petrol nose". We are certain that you will derive great pleasure from this dessert wine and it is bound to grace any special dinner. Drink until 2035 or thereabouts.